An exchange between CNN reporter Jim Acosta lead to him being banned from the White House until further notice. The President took aim at Acosta’s question, asking about the president’s characterization of the migrant caravan, but when the reporter tried to ask a follow-up question, a White House intern tried taking the microphone away. 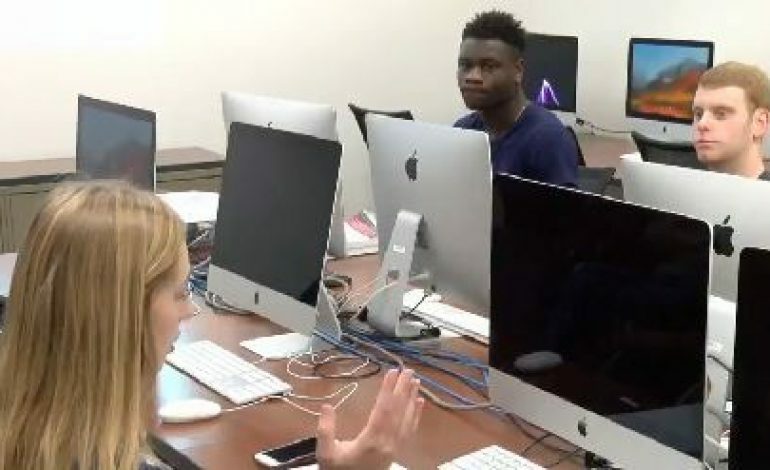 Journalism students at the University of Evansville discussed the incident and what this type of exchange could mean for students like them. “He asked him about his opinion which is completely okay because he is our president, so everything that he does affects not only him but the entire county because everyone has connections no matter how big or small,” says Taylor Jones, University of Evansville student. Most of them thought taking away Acosta’s press credentials was harsh, but they had different opinions on whether or not Acosta should have just passed the microphone. “He asked him to move on, and he still asked another question about a different topic, and I don’t know how many questions you get during interviews, and other people wanted questions so I think he should have just handed it over,” says Logen Sitzman, University of Evansville student. Others thought it was good Acosta confronted the President. “He kept asking questions because Trump wasn’t giving a continuous answer he was dodging it. He was trying to avoid saying what he actually thought,” says Tiger Pluckebaum, University of Evansville student. Although, some students do not think this exchange will affect their future careers.